It was a gloomy day in the Victoria but the water was calm and the whales were active! Today felt like deja vu! The same Biggs orca pod and juvenile humpback whale were still hanging out a race Rocks, super cool! The whales visit the area because of its abundance of food; big and small. The base of the food chain consists of microscopic zooplankton that the humpbacks gorge themselves on throughout the winter. The mammal eating orca’s are here to feed on the many marine mammals that inhabit the Salish Sea, including seals, sea lions, and porpoise! 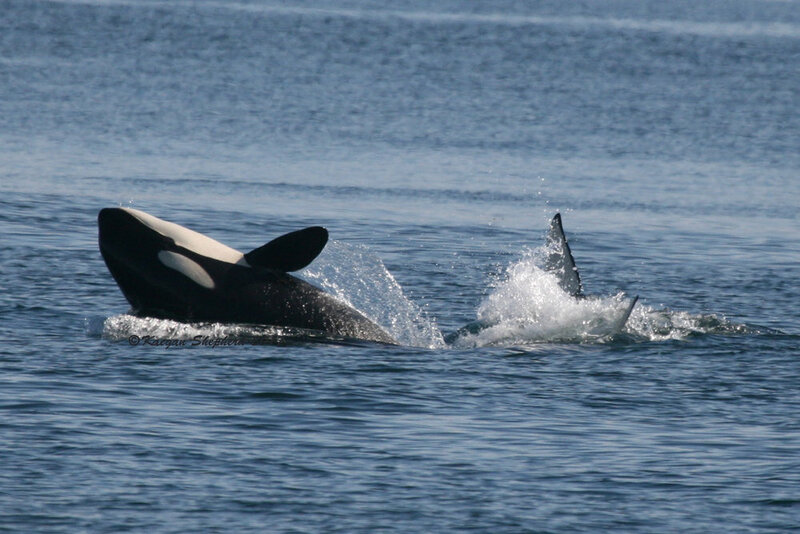 The orca’s were identified as the T109’s and consists of 7 whales, three of whom are confirmed to be female.